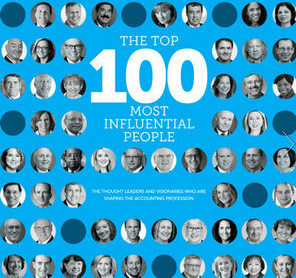 If you’re looking for the CPA profession’s most influential thought leaders, make Maryland your first stop. 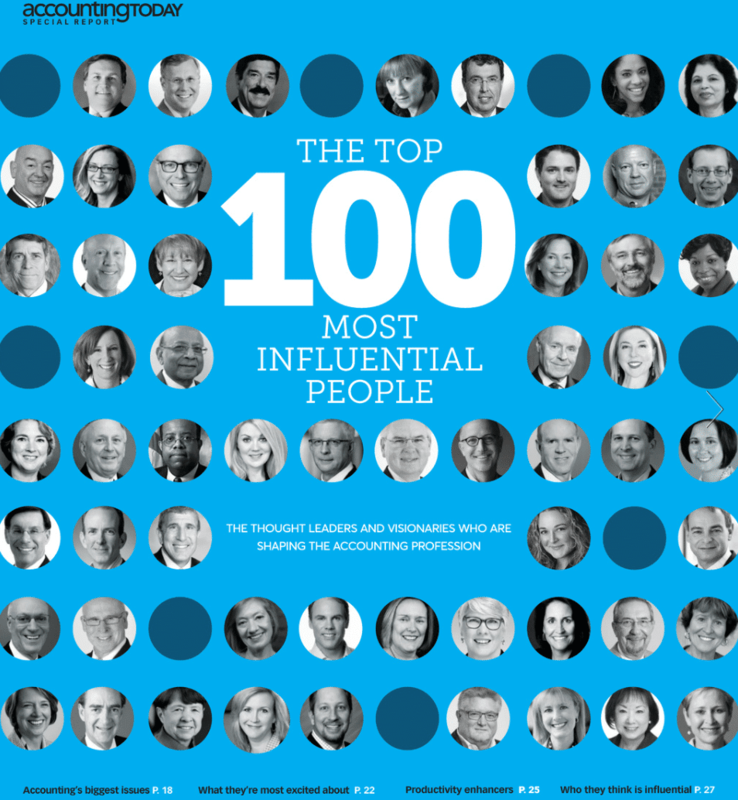 The Maryland Association of CPAs has left an unmistakable mark on Accounting Today’s annual list of the 100 most influential people in accounting. Nine thought leaders with direct ties to the MACPA are included on the 2016 edition of Accounting Today’s list, considered one of the profession’s most prestigious honors. Wayne Berson: The CEO of BDO USA is a native of Cape Town, South Africa, and an MACPA member. “In just four years, Berson has used both strong organic growth and a string of high-profile mergers to double his firm’s revenue — and make it the first new billion-dollar firm in almost a decade,” states Accounting Today. Kimberly Ellison-Taylor: A Baltimore native and past chair of the MACPA’s Board of Directors, Ellison-Taylor will be installed in October as chair of the American Institute of CPAs’ Board of Directors. “Among the many perspectives this Oracle exec represents, that of the CPAs in industry might be the most important, as the institute reaches out to them with offerings like the CGMA credential,” Accounting Today states. Jina Etienne: The Baltimore native and MACPA member was named president and CEO of the National Association of Black Accountants in 2015. “Etienne brings personal experience from almost every corner of the profession, which will stand her in good stead as she pursues NABA’s mission of boosting opportunities for people of color in accounting and finance,” writes Accounting Today. Tom Hood: The MACPA’s executive director is a yearly fixture on Accounting Today’s list. For a second consecutive year, the Baltimore native has been named by his peers as the second most-influential person in the profession. “Hood combines an exceptionally clear vision of the future and a strong passion for the profession with an unparalleled ability to communicate that vision and engender a similar passion in his fellow accountants,” Accounting Today states. Ed Karl: If it’s related to tax policy, Karl — an MACPA member and the AICPA’s vice president of taxation — is on top of it. “Karl is the voice of the AICPA at the IRS, the Treasury and Congress, where his tax policy recommendations always gain a hearing,” Accounting Today writes. Amy Vetter: Xero’s global vice president of education and head of U.S. accounting joined the MACPA in 2016 to better connect with the profession’s most forward-thinking CPAs. “Vetter is an experienced advocate for accountants as connected advisors, backing up her message with novel technology and accessible education to elevate CPAs from traditional compliance work,” Accounting Today states. Read Accounting Today’s 2016 list in its entirety.